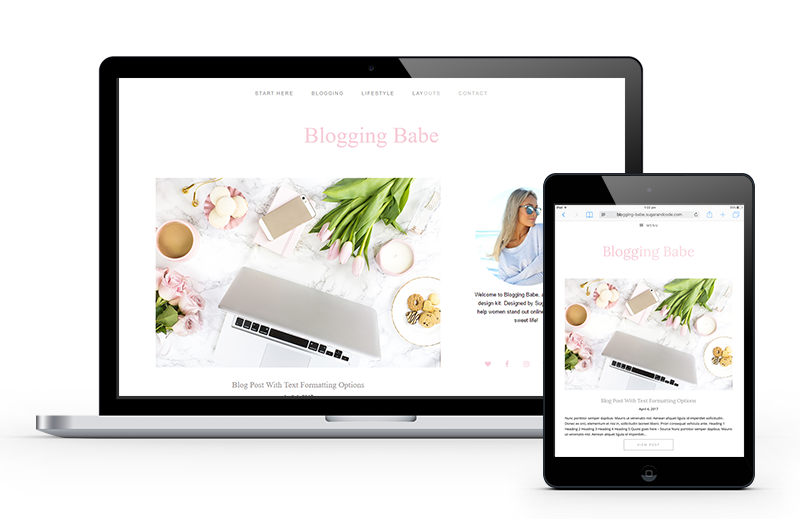 Blogging Babe is a feminine free WordPress blog theme – perfect for a female blogger, creative or solopreneur! Following the design trends set by the top bloggers, the design features a simple and elegant layout and a stunning Instagram gallery to showcase your feed! Add your logo, photos, content and then change the colors to create a designer quality, gorgeous blog that your visitors and readers will absolutely love. 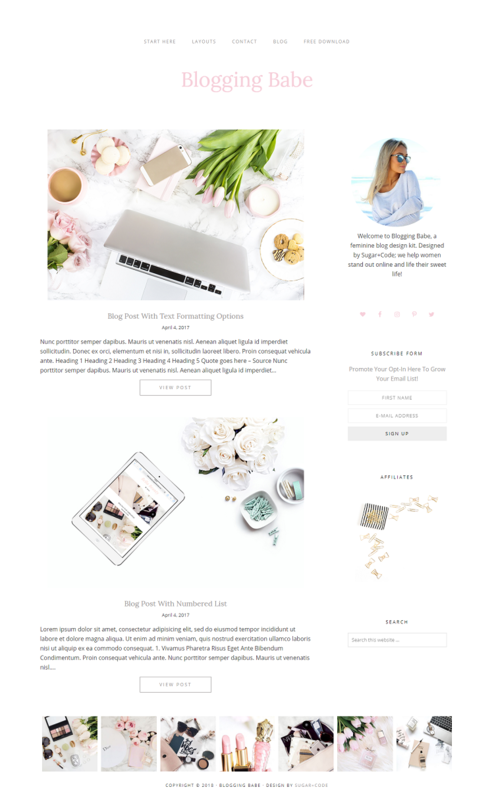 Our Web Design Kits have been created for you to DIY on your own, so along with your theme design, you’ll also receive access to our in-depth set up tutorials (perfect for beginner bloggers and experienced WordPress users alike!) our help center and support for bug fixes. Don’t worry, I walk you through it all from the beginning in the set up tutorials, including pre-steps such as registering a domain name and hosting.